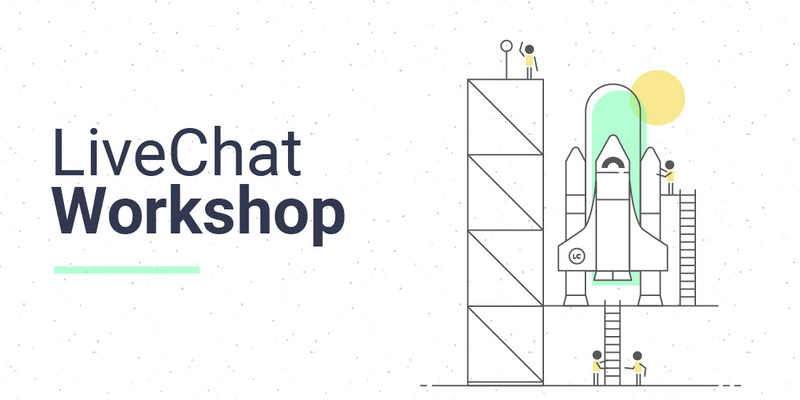 Hi and welcome to the first part of our new LiveChat Workshop series. We will be talking about various ways of customizing LiveChat and making it truly yours — buckle up! 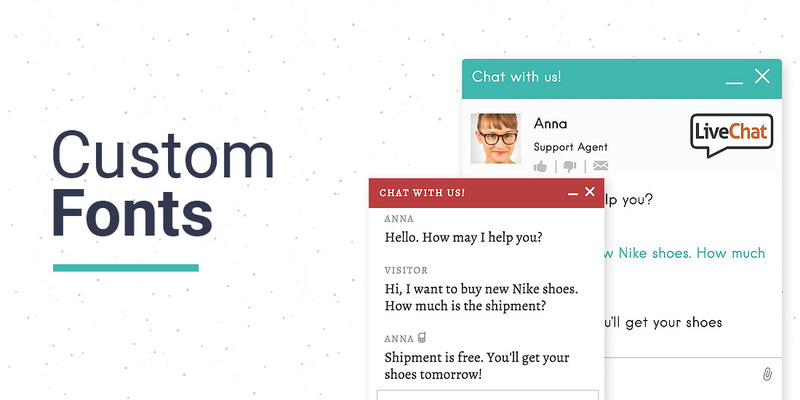 Today you will learn how to customize the font in your LiveChat widget. 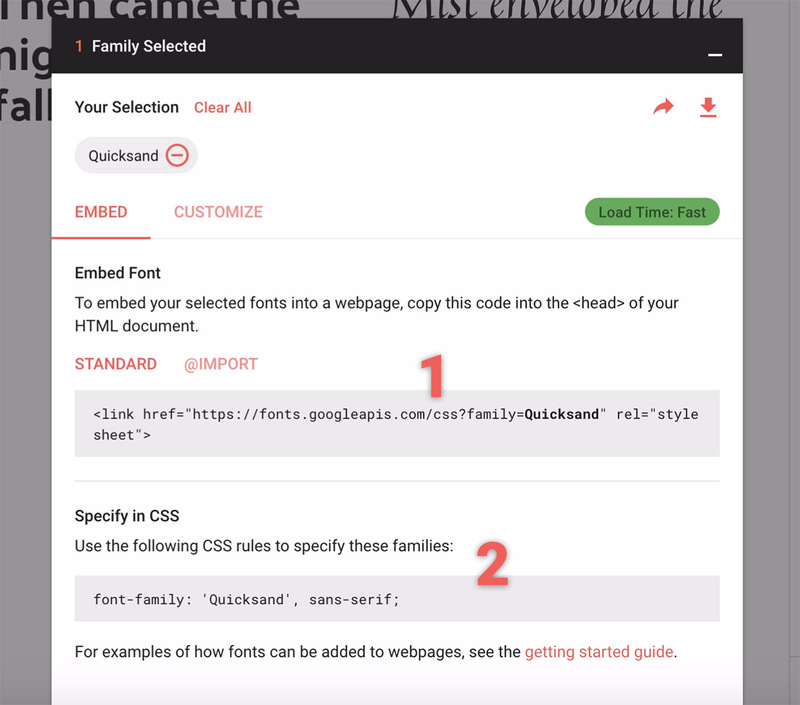 Understanding the distinction between web-safe fonts and custom fonts is crucial if you want to make sure that your LiveChat window looks okay on various machines and in different browsers. Web-safe fonts are the fonts that are pre-installed on a given device. The font collection depends largely on the operating system the device runs on, which means that the stack of the available fonts will differ from one OS to another. Always provide fallback fonts to control what happens when the first font of your choice one is not available to your visitor. As you may easily guess, custom fonts are the fonts that are not shipped with the operating systems. Using them requires either uploading the font files to a remote server or pulling them from, for example, Google Fonts or Typekit. It’s always best when all elements of a website match and the user experience is seamless. However, when you use third-party services, in-depth customization is not always possible. 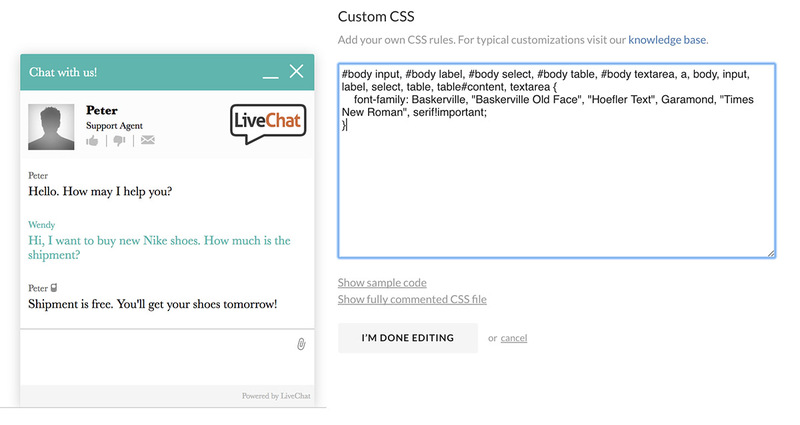 LiveChat gives you full control over your chat window’s CSS, which means that you can adjust each element to the look and feel of your website. 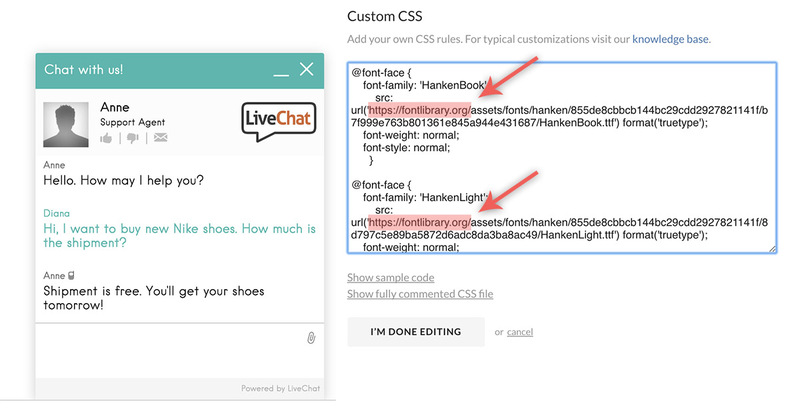 Let’s see how to use web-safe fonts, Google Fonts, Font Library and self-hosted fonts to spice up the LiveChat window. Go to CSS Font Stack and click the name of the font of your choice. Let’s assume it’s Baskerville. Remeber to keep “!important” intact to make sure that the default fonts are properly overwritten. Click “I’m done editing” and then “Save changes”. 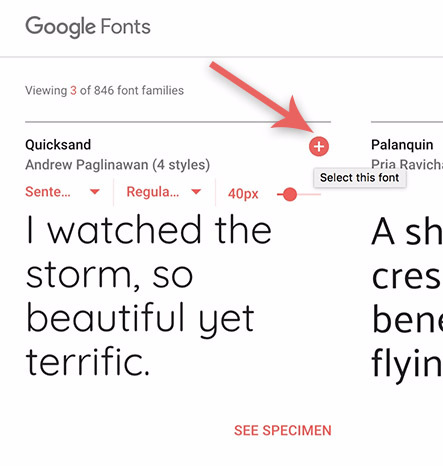 Google provides a rich collection of fonts which are used by millions of websites worldwide. Their power stems from the fact that the service is extremely easy to use: no need to download or host anything, it’s just enough to copy and paste the code provided. Note: Before copying the URL you can switch to “Customize” tab to select font weights and languages that you want to support. Note: Various browsers may return different results here. 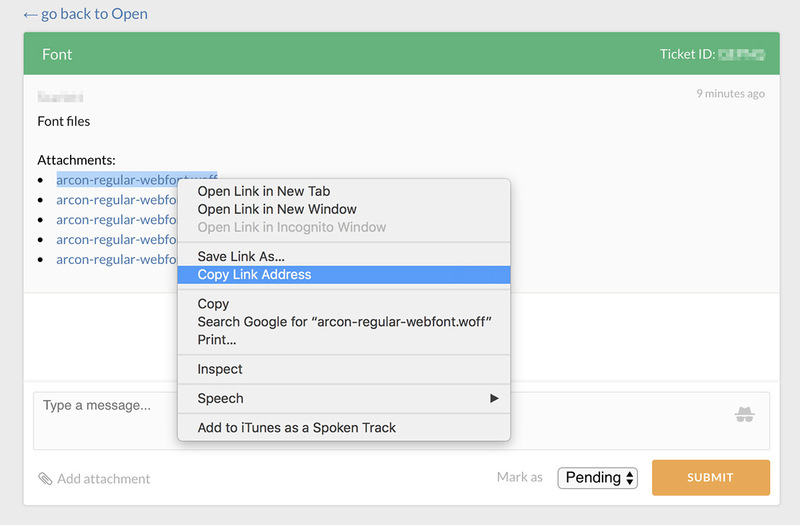 To make sure that the fonts work for the majority of users, repeat this step in all browsers that you want to support. Take a look at Technical Considerations for more details. Go to your LiveChat dashboard and navigate to Settings > Chat window > Theme > Customise using own CSS. Paste the code you have just copied to the custom CSS box. Of course replace font-family: 'Quicksand', cursive with the CSS snippet for your font (see point 2. above). Go to Font Library and click the name of the font you want to have in the LiveChat window. In this example it will be Hanken font. From the first box, copy the link’s href (in this case it’s https://fontlibrary.org/face/hanken) and open it in your browser. Copy the content to the clipboard (you can ignore the rules marked as deprecated). Next, go to your LiveChat dashboard and navigate to Settings > Chat window > Theme > Customise using own CSS. Of course, replace font-family: 'HankenLight', sans-serif with the CSS snippet for your font (see point 2. above). Note: Did you notice “sans-serif” added to the original Font Library snippet above? Be a pro and always provide fallback fonts! Using self-hosted fonts is the trickiest part of this tutorial, but fear not — LiveChat Workshop is here to guide you through the process. Self-hosted fonts have been briefly described in the LiveChat Knowledge Base, but in this tutorial I will elaborate a bit on this subject. You will need your custom font in several formats. For the best cross-browser compatibility the ideal set will be .eot, .woff, .woff2, .ttf and .svg. However, as WOFF and WOFF2 are getting more and more support, you should be fine only with these two. Note: In need of beautiful fonts which you can legally use on your website? Check out Font Squirrel. You can use generators like the one from Font Squirrel to convert .ttf and .otf fonts into the formats mentioned above. Host the fonts on a remote server. The best way to do this is to create a ticket in your LiveChat license and add the font files as attachments. Note: Due to CORS settings, the font will not work in the minimized chat window. And that’s it! I hope these instructions will help you prettify your LiveChat window and adjust it to the look and feel of your website. 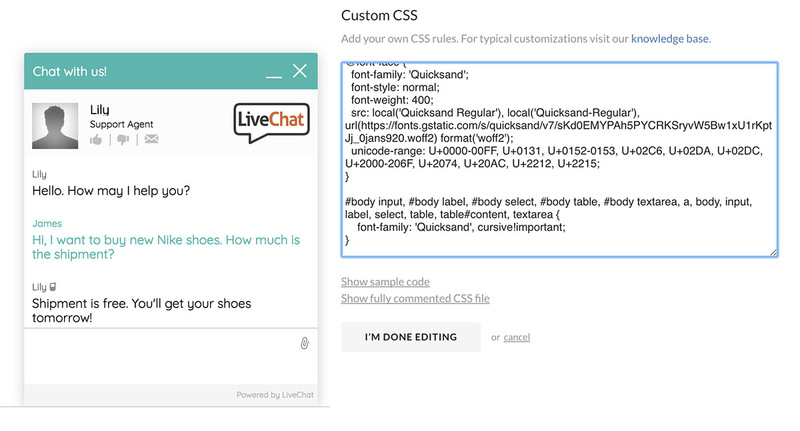 If you have any questions about custom fonts in the LiveChat widget, don’t hesitate to ask!